The Project Buena Vista Property is located in Southwestern Peru on the Alto Madre de Dios river in the Manu Biosphere Preserve. PBV is directly across the river from the village of Salvacion and right next door to the ecotourism lodge, Erika Lodge. At Project Buena Vista, we believe that both the land and its inhabitants must be protected in order to create a sustainable environment. We are a nonprofit organization dedicated to the preservation of the Peruvian rainforest. Our property is located on a 100 acre plot of land called Buena Vista, situated in the Manu Biosphere. 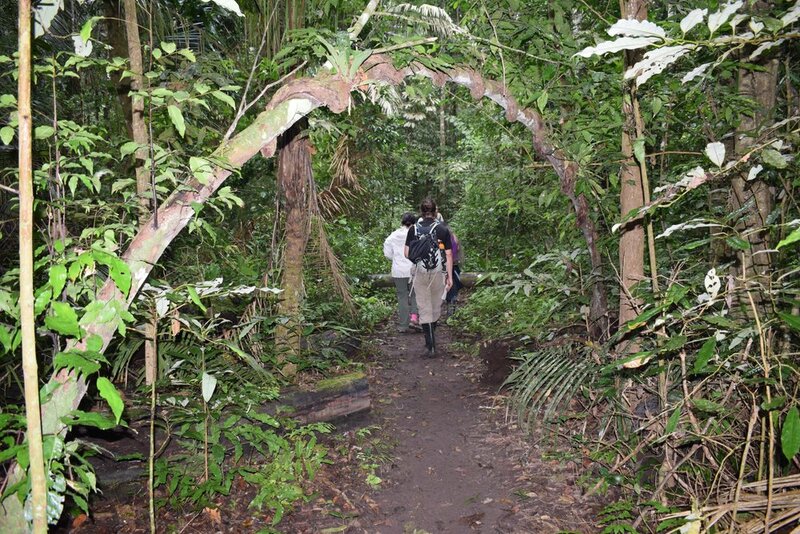 In this place of extraordinary biodiversity, we accomplish our goal of conservation through two important actions: biological education and medical outreach. Built in 2017 by a local carpenter using local materials, our new cabins provide comfortable lodging while at Buena Vista. Each cabin contains two rooms with two beds. You will sleep well on our comfortable mattresses and securely under a mosquito net. Education and research opportunities teach participants about the importance of the environment and its needs. Medical outreach programs allow us to serve local rainforest communities so that they may better protect their rainforest home. In the years ahead, our goal is to advocate more fully for the conservation of the Peruvian rainforest through program participation and medical outreach. We plan to ensure a greater impact by training more teachers and practitioners to continue our work in Peru without the direct supervision of program coordinators. Felipe Gomez (right) is the Buena Vista property's local guardian and teaches classes about the flora and fauna found in the Peruvian Rainforest. Throughout our years as an organization, we have built a great network of volunteers. But to keep our program running, we need support from those who share our belief in the tremendous importance of rainforest conservation.